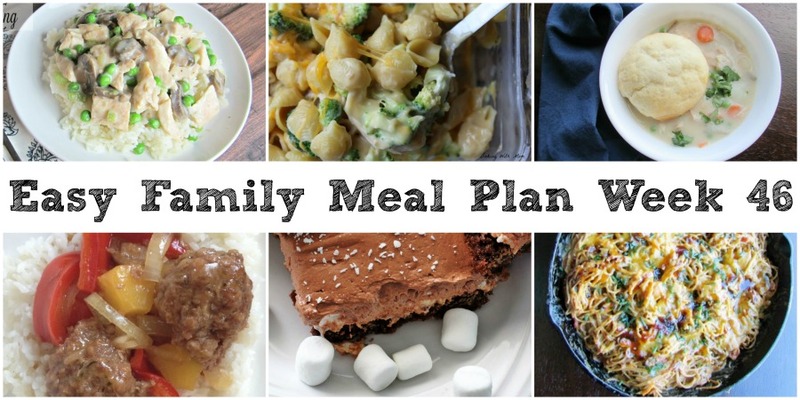 5 delicious dinners and a fun chocolaty treat, this week's menu is planned and your family is going to love it! Whew! We survived Thanksgiving. I hope yours was wonderful as well if you celebrate. We had the best time getting to see family and eat tons of good food. My jeans may not be happy this week, but that is a small price to pay! We are still working our way through leftovers and not complaining a bit about it either. Are homemade noodles a Thanksgiving tradition where you are? There has been some discussion about it on my Facebook page and in our Feed Your Family advice Facebook group. Apparently it is a regional thing and if you grew up with them you are likely to have very strong feelings towards them. If you didn't grow up with them, you don't even know they are a thing! Lately we have been saving the noodle making until the weekend after Thanksgiving rather than doing them on the day. That way we can enjoy them to their fullest. Along with the noodles we had plenty of maple crunch sweet potato casserole, green bean casserole, some fun corn I through together, cranberry sauce, homemade 3 day rolls, maple glazed chestnuts, turkey and of course mashed potatoes and gravy. Our plates and hearts were full. Now it is time to turn our sites toward Christmas. Little Dude is anxious to put up the tree today and our first Christmas party is next weekend already! There is always so much activity this time of year! 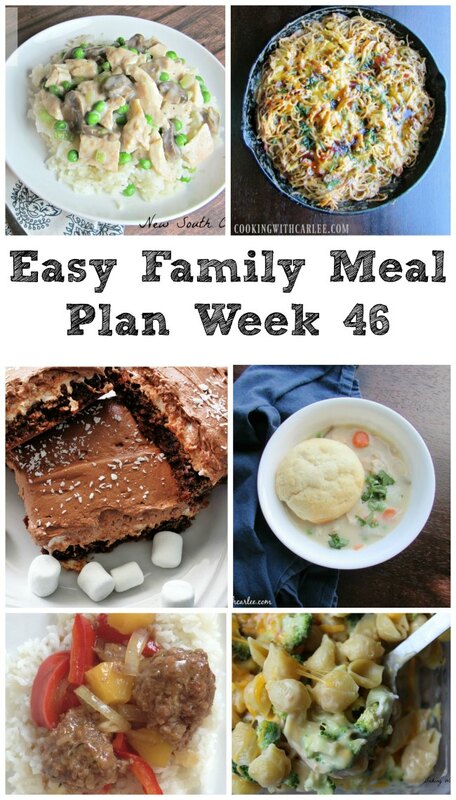 With so much to do and so much to look forward to, having our weekly meals figured out is extra important. So without further delay, I present this week's menu! 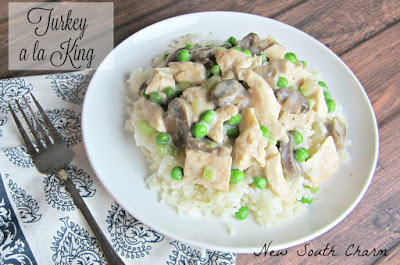 Take what's left of that turkey and turn it into Turkey a la King from New South Charm. That will kill two birds with one stone and get the week started off right. 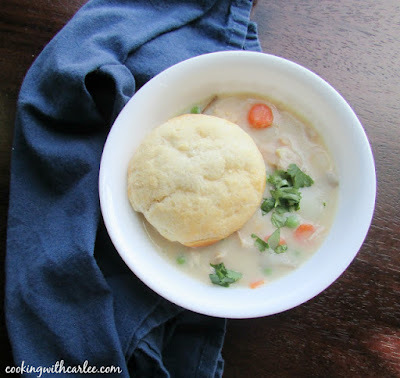 You could also replace the chicken with turkey in this Creamy Chicken Pot Pie Soup. This one is a favorite around here. It is hearty, easy and oh so delicious! 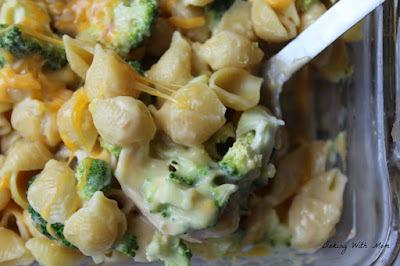 This Easy Cheesy Broccoli and Chicken Casserole is going to be a hit here too. Baking With Mom makes it looks so cheesy and delicious! After getting all of that turkey used up, it will be time for a change of pace. 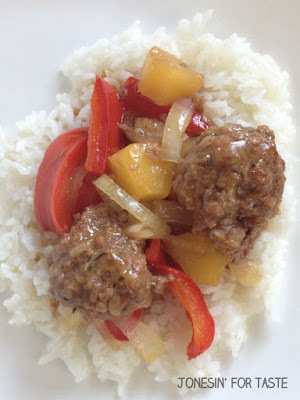 These Sweet and Sour Meatballs from Jonesin' for Taste will be just the thing to help us move on to other meats! 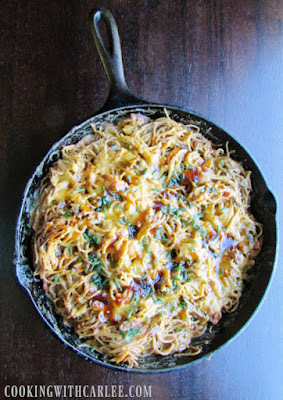 To round out the week, we'll have some Creamy Pulled Pork Spaghetti. I almost always have a bit of pulled pork in the freezer and this is always a fun dinner. 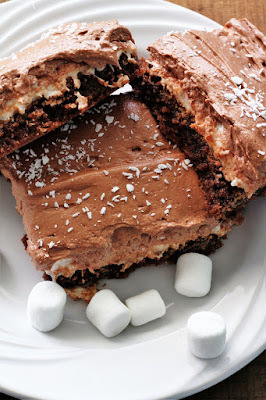 As a celebration of getting through another long and busy week, we'll enjoy a batch of these Rocky Road Brownies from Recipe Treasures. Don't they look good? I hope you have a great week. I'd love to hear what you have planned! Carlee, I've never heard of the homemade noodles on Thanksgiving tradition - interesting! I love making homemade noodles, but I'd definitely not want to make them in the midst of a big turkey dinner! We like our new tradition of making them the weekend after and enjoying them while making gingerbread houses. It gives us the chance to enjoy the process of making and eating them more than in the midst of the big meal! Thanks, Jean!